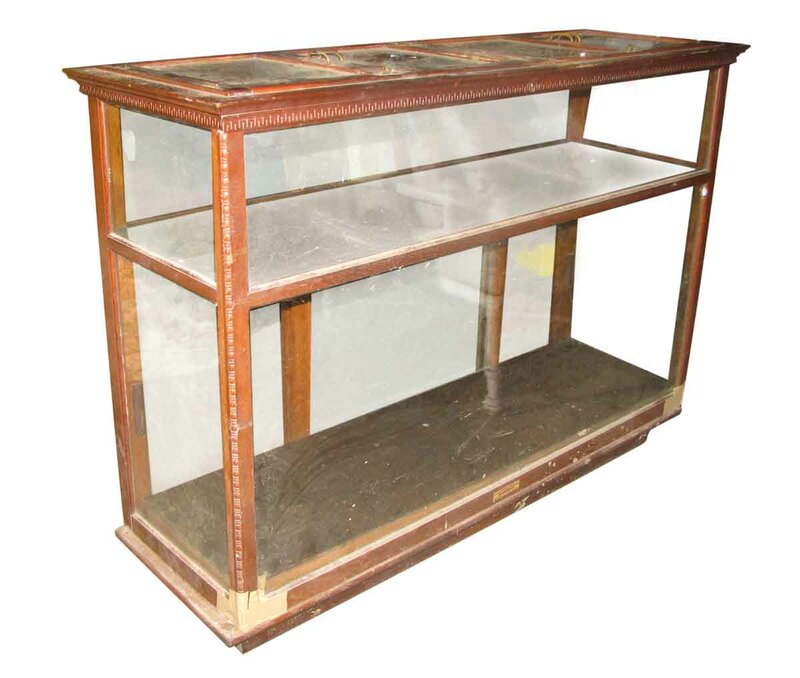 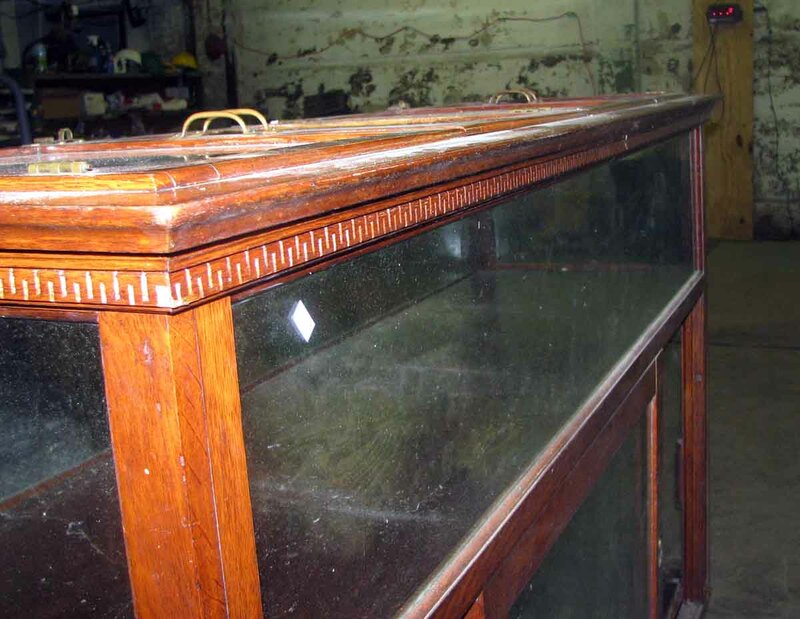 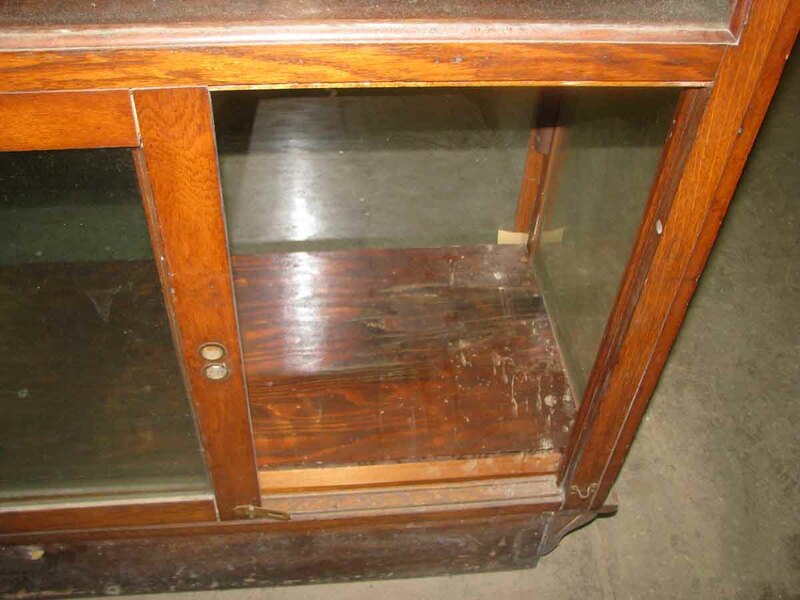 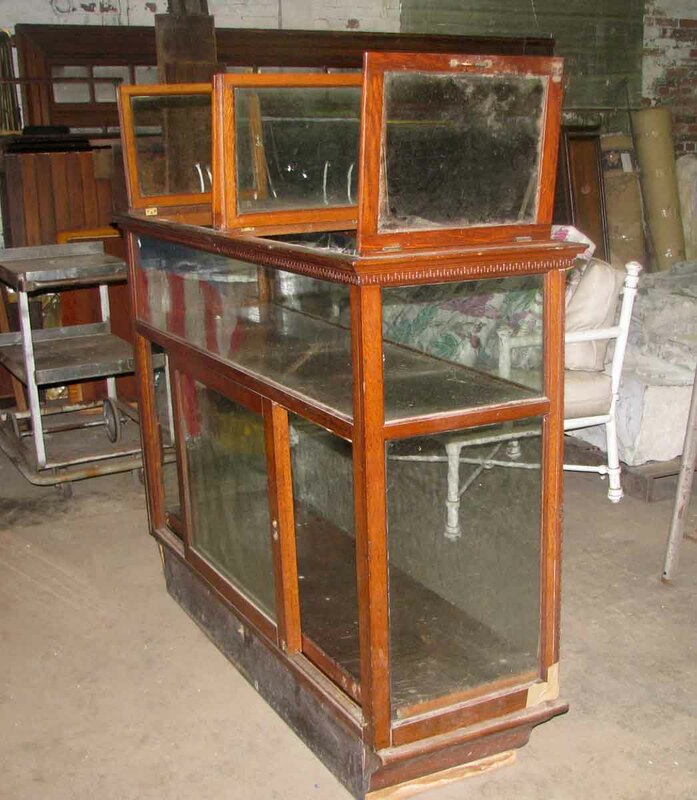 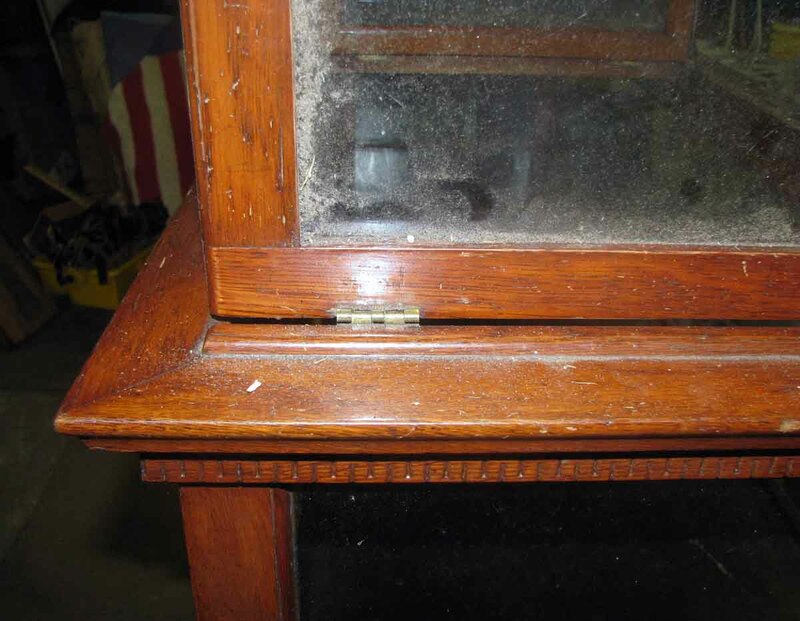 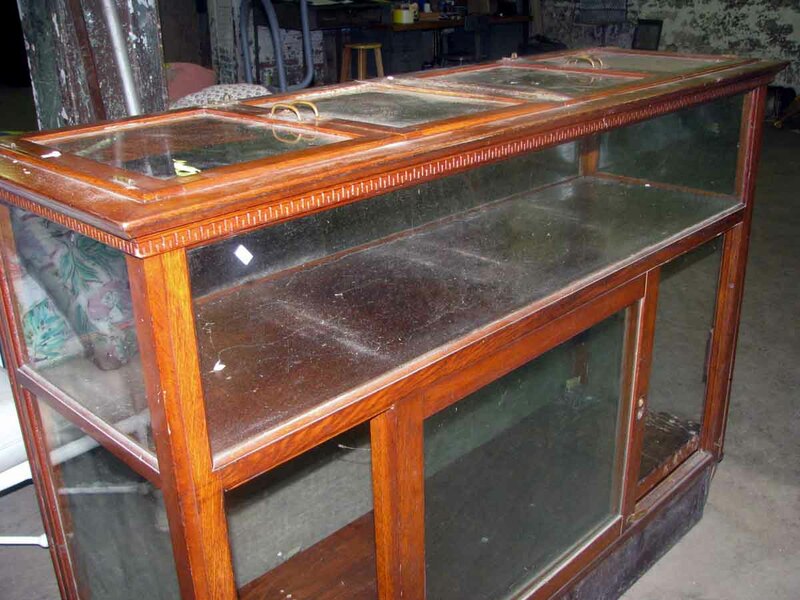 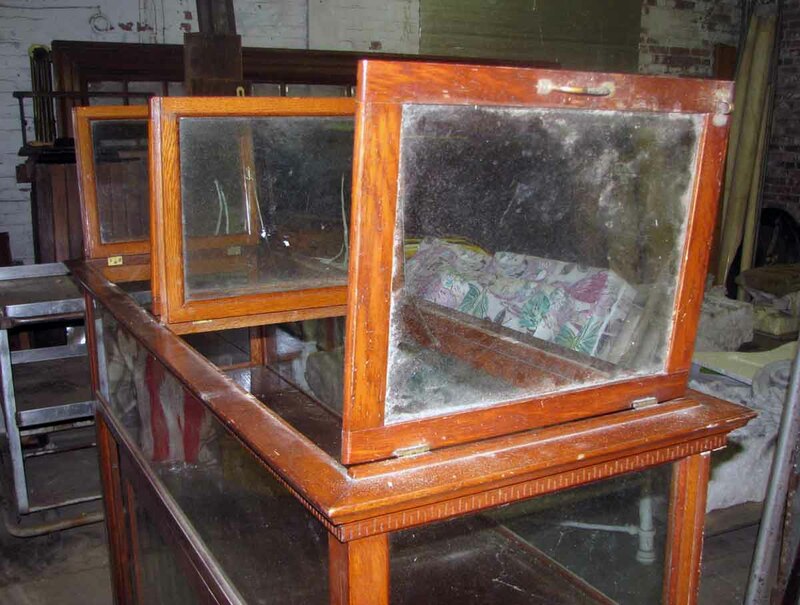 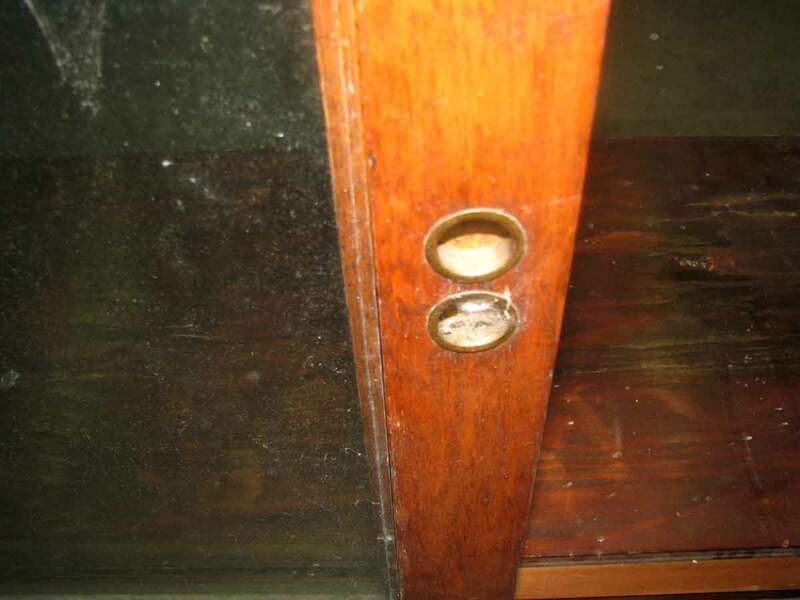 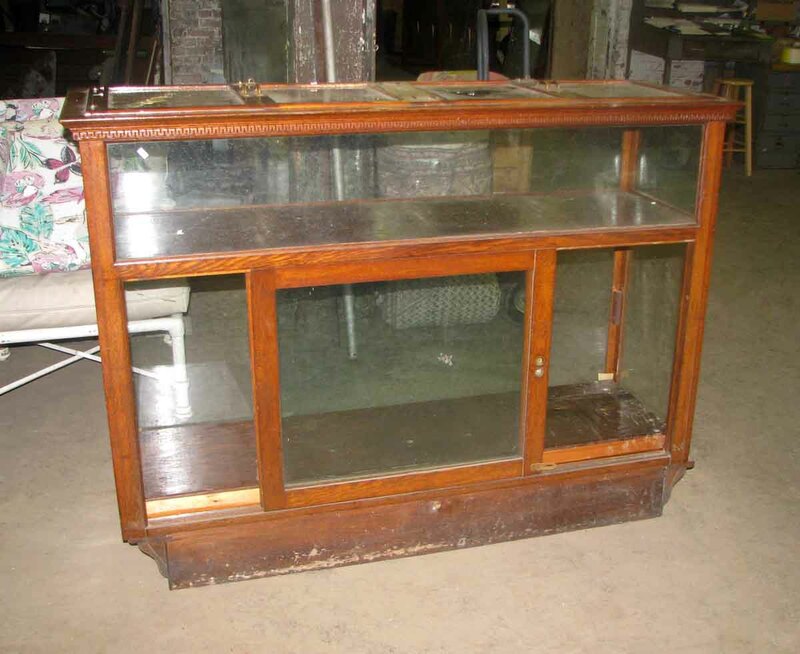 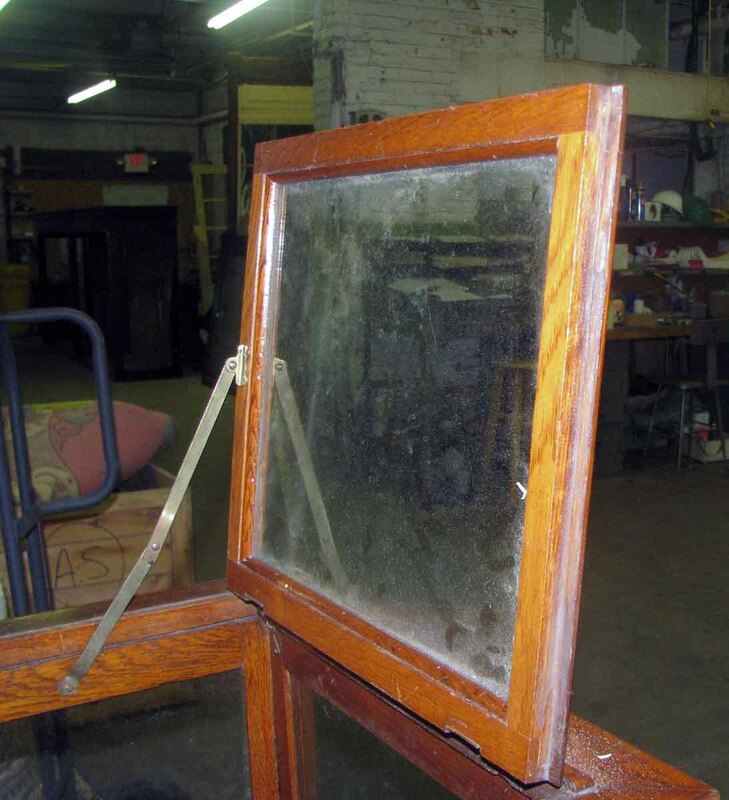 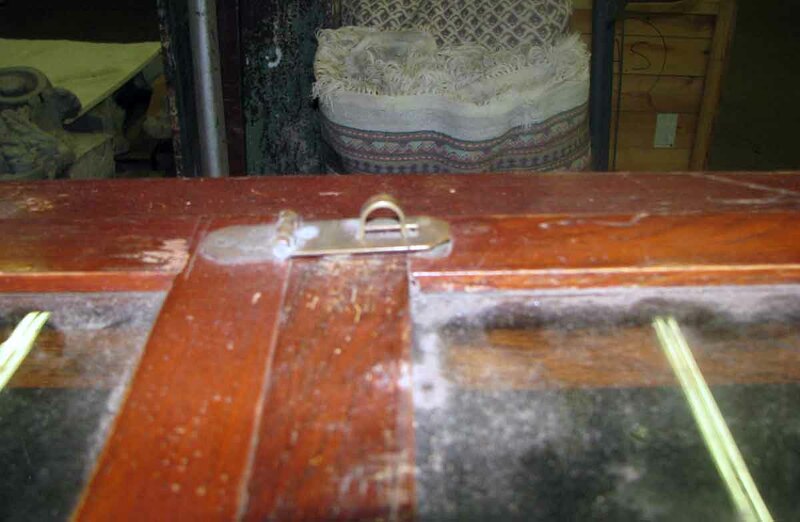 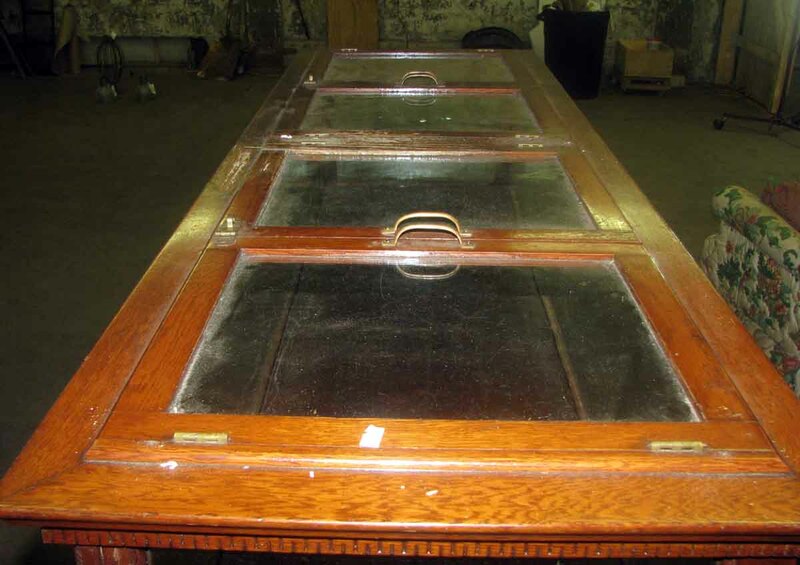 Antique showcase with four doors on top and two on the bottom. 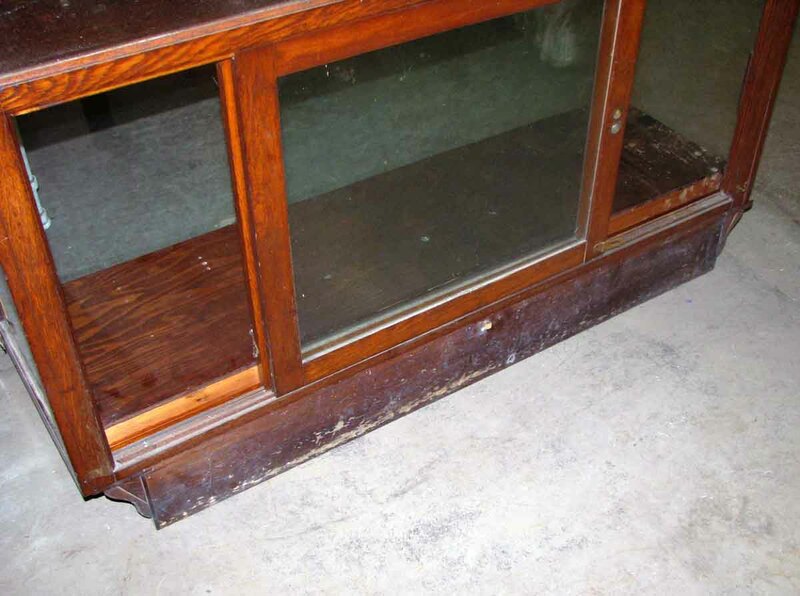 This is a nice useable size at five foot wide. 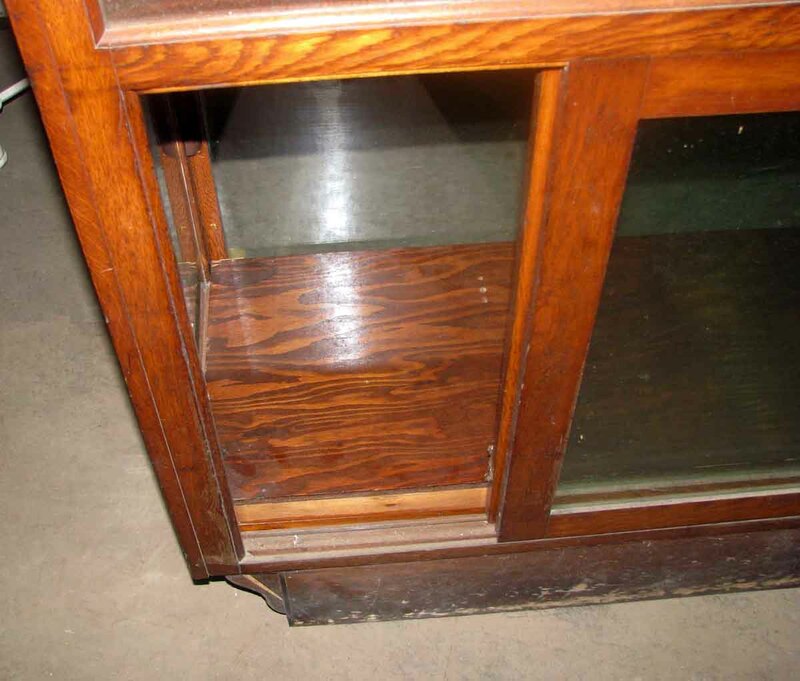 It has the added convenience of doors that lift and open from the top.